When selling investment property Broomfield, seller disclosure can be a challenging thing to deal with, especially if you are selling the property by yourself. If you have just decided that it’s time to sell your investment property, it’s obvious that you will not be quick to open up about things that may discourage potential buyers. On the other hand, keeping quiet might also lead you into much bigger trouble with the law. So, the question here is when selling investment property Broomfield, how much information about the property are you supposed to disclose to the buyer? Furthermore, how deep do you need to go with the details of these disclosures? To answer these questions, here are some basic disclosure rules that every property seller should be aware of before and when selling their property in Broomfield. Also, make sure you confirm with your real estate agent regarding what you really need to disclose about the property being sold. When giving up your house to a new owner, there are basic things about the house that the new owner must know about. For instance, they have a right to know about the physical state of the property, whether the property has some dangerous materials or conditions or even if the house as some pending matters that are yet to be solved, for instance, a lawsuit that may affect the value of the property. Be sure to include any other details that may be key towards influencing the buying decision of the customer. Another question that pops up here is how does one pinpoint the exact things that might affect or rather influence the buying decision of a customer? If the property you are selling has in the past been occupied by others who had no regrets and maybe moved out due to relocation, but at some point, they reported that the basement barely floods occasionally, the buyer needs to know about this. Even there’s a leaking window when it rains, make sure they know this detail or else, you might soon be facing a lawsuit for not disclosing everything about the house you sold. If there are issues that have also been repaired recently, they need to be mentioned so that the buyer is aware of them. You don’t want to be on the receiving end when the new owner finds that a repair job was botched, yet you never mentioned that the house had undergone some repairs. In short, always disclose any material defects. Just like the general stuff about a house, never leave out any details about an inspection report of the house. While you might not be asked to provide copies of the report, it’s a good thing to do so. This could save you loads of time dealing with legal cases because the buyer will in no way claim they weren’t informed about the problem in the house. Even though some buyers might think of your disclosures as useless, it’s a good thing that you leave everything at their disposal. We all know the saying that what you don’t know can’t hurt you. Well, the story is the same when it comes to disclosures. It’s true the prospects of facing a lawsuit can be scary, however, the court cannot hold you accountable for something you didn’t even know about. For instance, a house can be infested by termites but the inspection missed them and you never saw one termite on the property. There’s no way you will be held responsible for not disclosing such details. Since you don’t know, don’t make the mistake of guessing stuff. A buyer may ask you a question about something you have never even bothered about, for instance, the exact measurements of your property. Unless you have the figures with you, don’t try to give out something you don’t know. If pushed by the buyer, make sure you can back up your claims, especially where figures are involved, otherwise, this random guess might come back to haunt you at a later time. 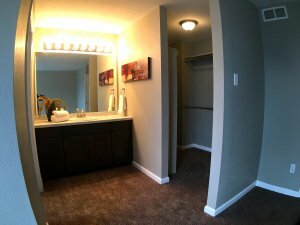 Selling investment property Broomfield to Denver Property Flip will give you a whole new experience. Rather worry about the disclosures you have to make about the house, we will inspect the house and make you an all-cash offer based on its current condition. Call us now on (720) 370-9595.